Our first venue in the UK is situated close to Oxford Street, Bond Street and Marylebone at 19 Wigmore Street, just off Cavendish Square. Our two sleek and modern kitchens are open from Monday to Saturday and we have two communal dining areas and a fantastic cookery boutique stocked with a range of kitchen utensils and equipment chosen by our professional chefs. 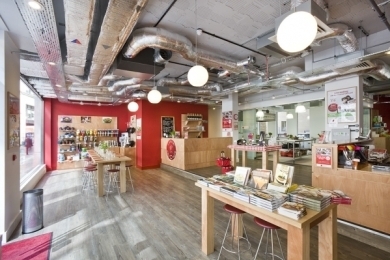 St Paul's is L'atelier des Chefs' second venue, located in the heart of the City of London! We are open from Monday to Saturday and have classes running throughout the day and into the evening. 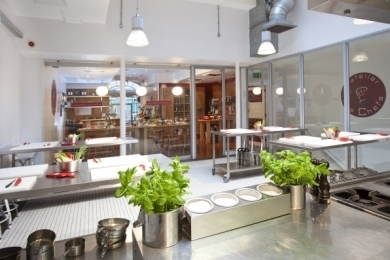 So, whether it's a quick lunch with colleagues or a relaxing activity after work, join us for a cooking class soon and enjoy a truly unique cook and dine experience.